But how about starting up your own store? It's possible once you know the steps, and you'll have the benefits of keeping full control over your online brand. Plus, you won't be giving a cut of your sales to a third party! Here's what you need to do to get up and running. What's a ecommerce platform? A platform is basically the software that runs your store. 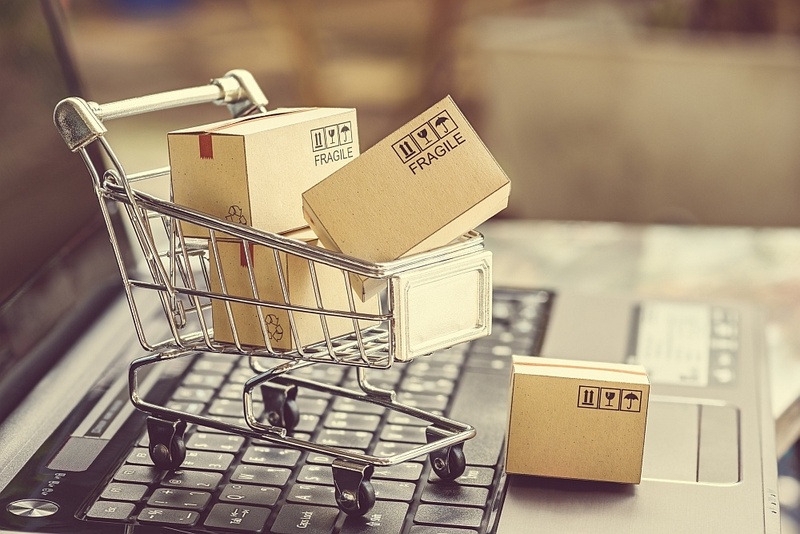 There are many ecommerce solutions in the market, and while it's possible to build an online store on any of these, it's important to think ahead in terms of costs, reliability and search engine optimization; so you can feel confident the solution selected can grow with your business. For this article we'll consider 3dcart, an all-in-one solution and SEO-friendly ecommerce software. With 3dcart, You'll have a full control panel that can handle all the aspects of your business and website, from product information to blogging and order management. Once you've decided on an ecommerce platform, you'll have to choose a design theme that matches your brand and showcases your products. Most platforms include design themes as part of the solution, but some require you to buy these separate from third party companies. With 3dcart you get access to over 100 mobile-ready themes. Regardless of your choice of platform or theme, make sure you can edit these themes with a drag-and-drop visual editor, or by access the HTML and CSS files directly if you decide to make manual edits to the code. In addition to the design aspect, you want to configure your online store to your business. From entering your store's name and slogan, add your logo; to setting up other general options like your time zone and contact information. In the case of 3dcart, you can reference the Store Settings section for details on all the elements that need to be adjusted to get your online store ready. Check out What Can I Find in the Store Settings Section? for a complete explanation. One of the most important aspects of any online store is the ability to process payments. You want to choose the right credit card processor for your business, so the best is to shop around for the best credit card processing rates. Avoid any ecommerce platforms that force you to use a specific payment provider, once your business is up and running it'll be harder to switch solutions just to be able to implement a different credit card processor. In addition to credit cards, you want to consider adding Digital Wallets, these help you convert orders from visitors that are used to paying with their preferred wallet solution, and can increase conversions for mobile shoppers. Consider PayPal, Amazon Pay, Visa Checkout, Masterpass, Apple Pay and Google Pay as alternative payment methods. Adding taxes should be a simple process, just confirm the right rates that should be charged based on your business jurisdiction. With 3dcart you can quickly and easily set up tax rules with the Tax Manager (See How Do I Add Tax to my 3dcart Store? for more details), which does all the calculations for you and simplifies an otherwise difficult process. Unless you're selling services or digital downloads, you'll need to specify a way of shipping your products to your customers. For US businesses you can select from several domestic and international carriers including USPS, UPS, FedEx and DHL. Since shipping rate calculations are complicated, real-time carrier calculated rates are a must-have. Don't risk losing sales due to innacurate shipping costs, or even worst, letting shipping costs eating into your product's profit margin. For specific type of businesses or once you have a established relationship with a carrier, you can set up free shipping or flat-rate shipping if you have a need for those options. Check out How Can I Add a Shipping Method? for help. As part of establishing your business, you want to use a branded email address for any communications coming from your online store. When order notifications and marketing emails come to your customers, using an email from your domain name helps build trust in the relationship. Using an hotmail or gmail address is a bad idea that would cause your business to look unprofessional. If your ecommerce provider includes email hosting then take advantage of that. If not, you can still use gmail which offers a premium service for company email addresses. In the case of 3dcart, email hosting is included with your plan and it offers a built-in webmail interface called SmarterMail which can be connected to an email client like Outlook or Thunderbird. More details are available on the 3dcart Email Guide. Now that you've fully built the foundation of your store, it's time to add your products. There are a few ways to go about doing this, and which way is best depends on how many products you have. You can see How Do I Add Products to my Store? for all the instructions, but even if you decide to mass-upload via a spreadsheet, as a rule it's good to add a product manually first just to get used to the interface. Soon, product management will be second nature! Once everything is ready, it's time to go live. All you need to do is point your domain name at your 3dcart store, which only takes a few simple steps. Check out our How Do I Make the DNS Changes to my (Non-3dcart) Registered Domain? for instructions. Once your URL is connected, start spreading the word. Started selling more than you expected? Your 3dcart plan can easily be upgraded to the next tier, allowing you to add more products and handle more traffic. The 3dcart platform is made to be used for all levels of selling, from the smallest online store to the very largest. To learn more about building an online store, download our free ebook below.